Scarred by war, in pursuit of truth. Army veteran True Brighton left the service when the development of robotic helicopters made her training as a pilot obsolete. Now she works at Requisite Operations, a private military company established by friend and former Special Ops soldier Lincoln Han. Robotics, big data, and artificial intelligence are all tools used to augment the skills of veteran warfighters-for-hire. But the tragedy of war is still measured in human casualties. 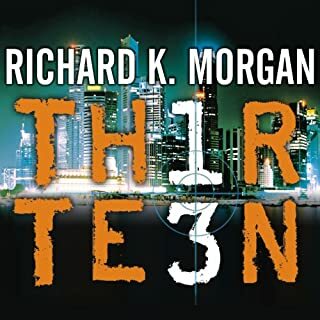 In the third book in The Red Trilogy, former army lieutenant James Shelley becomes a black ops sniper working for the Red - a suspected rogue artificial intelligence that is ripped from today's headlines. James Shelley has left his lover, Delphi, and his companion-in-arms, Jayne Vasquez, with a fortune acquired from a fallen oligarch. They believe him to be dead, and he doesn't try to set the record straight. His long-running question has been answered: There are other soldiers like him who have served the purposes of the Red - and he has accepted his place among them. As a soldier of the Red he pursues covert missions designed to nudge history away from existential threats - but that doesn't mean the world is growing more orderly. It's only in the froth of a managed chaos that human potential can grow and thrive. 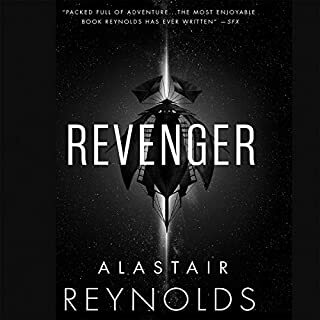 Shelley's missions eventually take him into orbit and into conflict with those he loves - Delphi and Jaynie, who are determined to escape the influence of the Red. 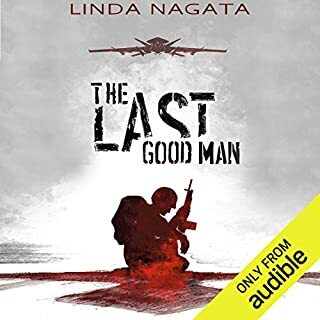 ©2015 Linda Nagata (P)2015 Audible, Inc.
explosive action sequences, solid world-building.. Going Dark, the finale in Linda Nagata’s terrific military science fiction trilogy, “The Red,” returns Lt. James Shelley to the front lines of a war dominated by artificial intelligence. Presumed dead following his low-Earth orbit exploits at the close of The Trials, Shelley has been serving as a squad member in the secret Existential Threat Management team, a group of soldiers whose deaths have been faked by The Red AI and who carry out missions on the intelligence’s behalf. After a look-and-see mission in the Arctic puts the world’s superpowers on the edge of all-out warfare, the ETM’s cover is blown by a traitor and Shelley and his team find themselves once again serving the US on a series of risky missions related to the competing ideologies of various rogue AI’s that may be off-shoots of The Red. As exhibited in the previous two novels, Nagata has a strong knack for creating deeply layered plots and dense narratives. The various scenarios she puts Shelley and company through are intriguing and paint a highly interesting view of the world as seen through the eyes and minds of these soldiers, a world that is constantly being manipulated by the overarching, and far-reaching, influences of an unstoppable and uncontrollable artificial intelligence. In this final chapter, Nagata adds a few new wrinkles and subplots, enough so that I hope and wish for more novels in this series despite it being billed as a trilogy. Over the last two books, we’ve gotten hints of a bigger scope to the world as humanity slowly takes to the stars. Here we get a brief mention of Mars preppers looking to make it off-world, but the narrative remains strictly Earthbound. Frankly, I’d love to see Nagata take on outer space at some point. 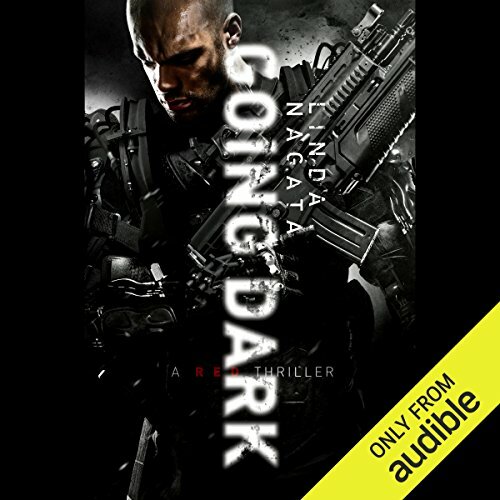 Going Dark, though, does serve a fitting finale to the story of James Shelley, even if a lot of the larger concepts surrounding him go unresolved. With The Red, Nagata has created an overwhelming game-changer, an uncontainable genie that is not easily put back in the bottle. As with the prior installments, though, the focus is strictly on the human element and the ways in which characters respond to the evolving world around them. I have to applaud Nagata for still finding new aspects of Shelley’s character to play with, and for surrounding him with a supporting cast, many of them new faces, who are special in their own right. Regarding the narration, Kevin T. Collins has become the voice of the series, and there’s a certain comfort factor in his return here. The speech and timbre are familiar, and listening to him once again embody James Shelley is a welcoming, easy listen. The production values continue to be high, and the narration proceeds without a hitch for its 16 1/2 hours run-time. 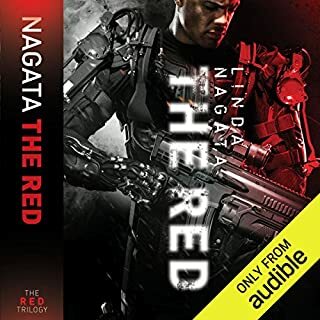 Packed with a number of explosive action sequences, solid world-building, and characters that are worth the time investment, Going Dark is a strong finish to Nagata’s “The Red” series. Taken a whole, this series has quickly become a personal favorite. If you’ve read or listened to the prior installments, finishing it up with this finale is a no-brainer. I loved this trilogy! 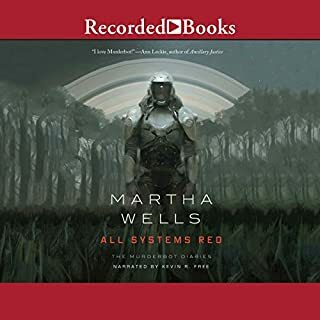 Nagata’s characters and events are so real, and all the technological enhancements she depicts for use by the soldiers of the future seem so plausible, practical, and easily envisioned, even by those of us who have no military background. I’m hoping to see it all made into a cinematic production soon...Please? loved it! couldn't stop listening. great conclusion. done variance in the voice performance at times was distracting. This is a well-written series with many creative elements. I really enjoy the multi-ethnic cast. The arc across the three books included in the series is complex and fitting. Don't really love the narrator, but he's not bad. I also don't like the occasional slide into stereotypical characterizations, but that too, is minimal. Final con is that the apparatus called the "dead sister" is really annoying. Some of us have lost sisters, and this naming convention comes across as thoughtless or tone deaf.